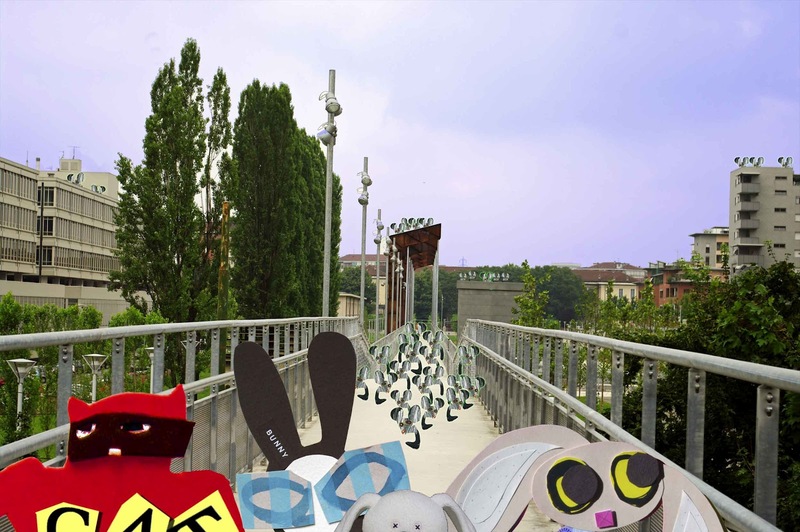 The Wabbit watched as Ghost Bunny's Processor crushed the Ice Mice, but he was not expecting a vast number of small Ice Mice to swarm towards them. "Plan?" shouted Lapinette. "Run!" shouted the Wabbit. In a flurry of paws and fur, they shot along the Walkway with speed. But the Ice Mice were everywhere - as far back as their eyes could see. "Ghost Bunny!" panted the Wabbit. "Yes Commander," breathed Ghost Bunny. "Can you haunt ahead and prepare Quantum the Time Travelling Train?" yelled the Wabbit, shaking off a voracious Ice Mouse from his rear leg. "On my way," shouted Ghost Bunny and she shimmered and vanished. Keeping just ahead, the three puffed and huffed and hopped along the ramp, except for Skratch who was a cat. "It's like the Pied Piper of Hamleys!" yelled the Wabbit. "Hornby!" corrected Skratch. "Hamelin!" shouted Lapinette. "I never got the point of that story," huffed the Wabbit. "Did the rats vanish?" "Oh yes," panted Lapinette. "and everyone else too. No-one was ever seen again." "I want to be seen again," gasped the Wabbit. "Then where are you sending them?" asked Lapinette. "Far, far away," said the Wabbit. "Far is good," said Lapinette, glancing behind her. "They're going to Galaxy M104, 28 million light years as the crow warps," shouted the Wabbit. "Not the Sombrero Galaxy?" gasped Skratch. "Yes," yelled the Wabbit, "but keep it under your hat."